So you’ve finally caved. You have decided to tread the path of countless men before you and grow a beard. Congratulations! You’ve made an excellent decision that will likely bring you a lot of joy long-term. Right now, though, you might be insecure. You’re wondering if you can hack it, or if your beard can get to be as awe-inspiring as you want it to be. The truth is, there are no guarantees. There are many factors at play and some of them, like genetics, you can’t do anything about. Fortunately, there are ways you can help your beard reach the desired destination. 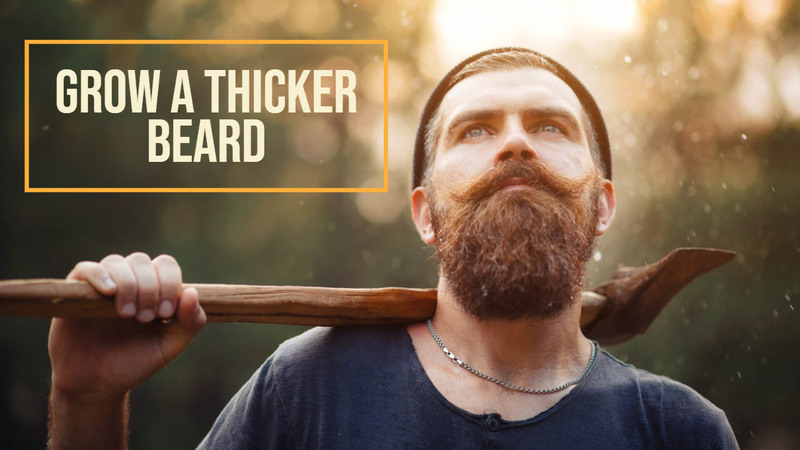 To aid you on your journey, here’s a handy guide on how to grow a beard faster and thicker naturally. Luckily, for most of us, the clean-shaven look isn’t mandatory. Beards are everywhere. Go out on the street and you’ll meet a bearded man within 5 minutes. It’s the glory of our times. Not all beards are created equal, however. A proper, fully-grown, bushy and healthy beard is a bit harder to come by. Several qualities can make the difference between a majestic beard and a fledgling fuzz. Obviously, a longer beard will have more volume. Many men are happy with the length their beard reaches within two months, but you can go up to 6 years if you’re so inclined. The darker your hair, the fuller your beard will appear. Lighter beards can give off this impression as well, they just need a bit more growth to get there. 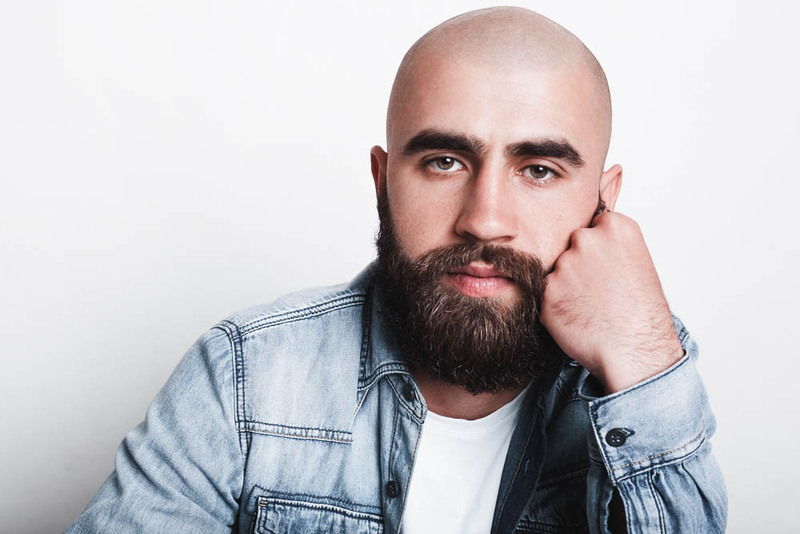 If you’re blessed with more hair strands and fewer bald spots in your beard, then you can expect to get amazing results. Even with fewer individual hairs, your beard can appear fuller if your follicles have a larger diameter. This basically says how healthy and vibrant your beard appears to be. Using adequate products and caring for your skin and beard goes a long way toward achieving this. By now, you’re aware that you aren’t in complete control of how your beard grows. Once you’ve accepted that, it’s easy to focus on the things that you can have an influence over. Here are some changes you can incorporate into your lifestyle to get a formidable beard. Beards don’t grow overnight. You can’t force them to appear when it suits you. There’s no point stressing about it then. Stress is generally an enemy for your facial hair. Banish it by introducing more exercise into your routine. The increased blood circulation will create ideal conditions for your skin to get cracking on growing those hair follicles. Another stress reliever that both you and your skin enjoy? Sleep. Catching up on your z’s will make your hair cells work at full capacity, meaning you’ll be seeing results in no time! A varied and wholesome diet is the basis on which your health rests. Your doctor knows it, your mom knows it, and your beard knows it. If you want an incredible thick beard, you have to eat protein-rich food. 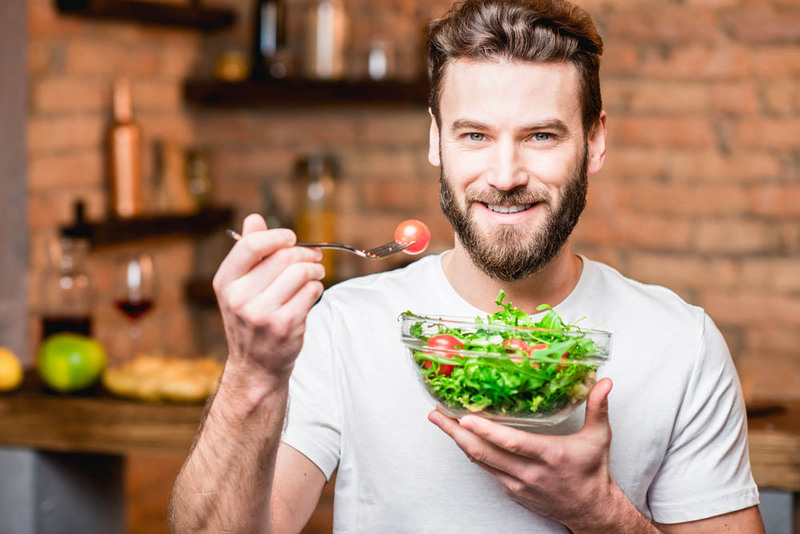 Red meats, poultry, and fish, along with eggs, milk, seeds, and nuts will contribute significantly to your beard’s health. As vitamins go, biotin (vitamin B7) is widely recommended for healthy hair, so you can consider using biotin supplements. However, you will get the most benefits from natural sources of vitamins. Think green vegetables like broccoli or spinach, citrus fruits, and carrots. These provide you with enough vitamins A, B, C, and E – which are the ones that nourish your facial hair from within. You’ve no doubt picked up on the fact that the skin beneath your beard is just as important as the beard itself. It’s essential to keep it clean and hydrated. Wash your face regularly with warm water and mild soap to remove any dirt build-up. Also, once a week make sure you exfoliate the skin to de-clog your pores and remove dead cells from your beard’s path. Any face cleansing should be followed with a moisturizer. Your skin loses moisture very quickly, so it’s essential that you replenish it as often as you can. If you can find a product that contains eucalyptus, this is an added bonus as it stimulates blood flow in the needed areas. All of the steps mentioned above will help your beard grow thicker and faster. But it’s the additional care that will give you that extra oomph you want. If you have anything longer than stubble and you’re still not using beard oils, you’re just being irresponsible. Beard oils soothe the skin underneath and nurture the hair to help your beard fulfill its full bushy potential. There are many kinds of oils and you can choose depending on your needs. For example, coconut and jojoba oils are great for fighting dandruff, while argan oil is excellent at locking in moisture. For even better results, focus on beard shampoos and conditioners, since they are specifically formulated to take care of your facial hair. There are many of them nowadays, so choose the one that is best suited to your skin and hair type. Beard combs and brushes are also invaluable to growing a thicker beard. 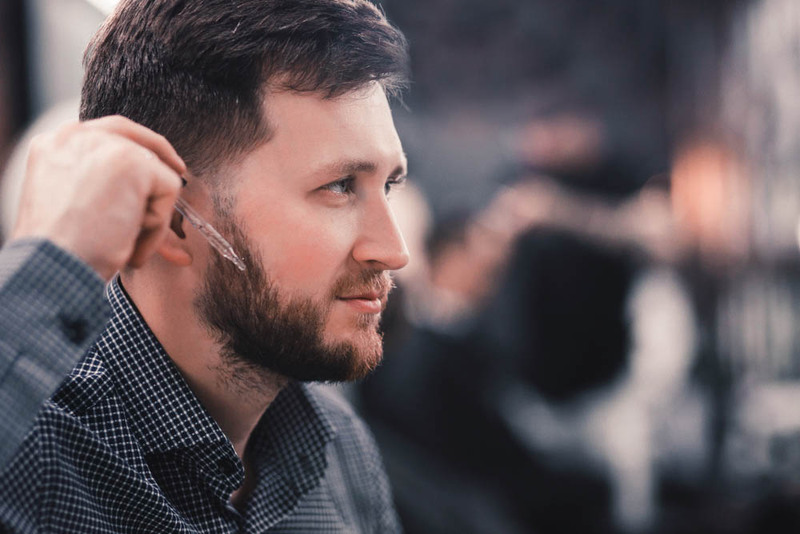 As facial hair tends to be unruly and go in all directions, a brush or comb can help you distribute it evenly and even fluff it up if necessary. As your beard develops, it will certainly hit an awkward phase where you’ll be tempted to just cut it off. Resist this temptation. You should wait until at least 4 weeks have passed to decide whether the bearded look really is for you. By this time, you’ll have a clearer picture of what you’re dealing with. If you trim or style your beard earlier, you will never see what your full, untamed beard looks like. This is the starting point of any sculpting you can do later. And the possibilities are endless. 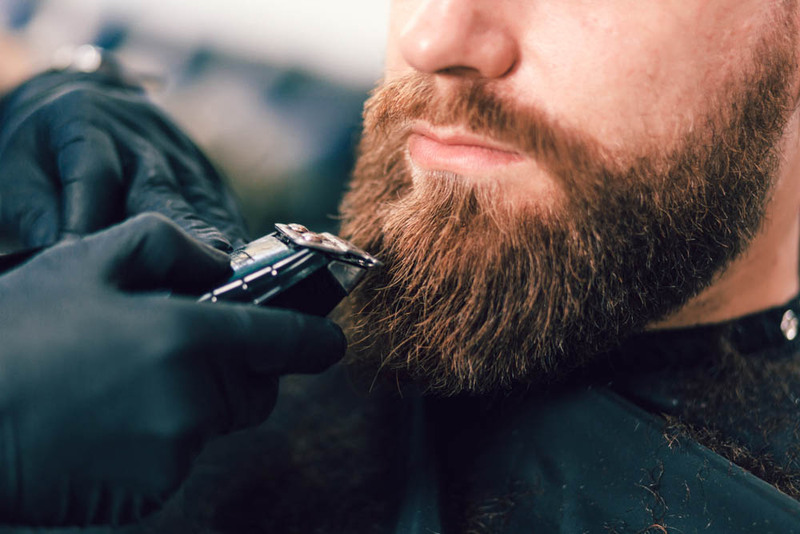 A beard trimmer with multiple length settings, like the amazing Panasonic ER-GB80-S, will give you the opportunity to test so many styles on your beard. Explore, get inspired, and don’t be afraid to experiment! As you can see from the above, small changes and investments can make a world of difference. If you are patient and give your facial hair some TLC, you’ll end up with a beard that is the envy of others. We dare say you won’t be showing your clean-shaven face for a long time! Hello Mike, thanks for your blog. The tips you shared with us to grow thicker beard for man are awesome. Thanks and keep sharing.